After opening their doors less than 2 weeks ago, the Alameda Supper Club should be added to your restaurant bucket list! 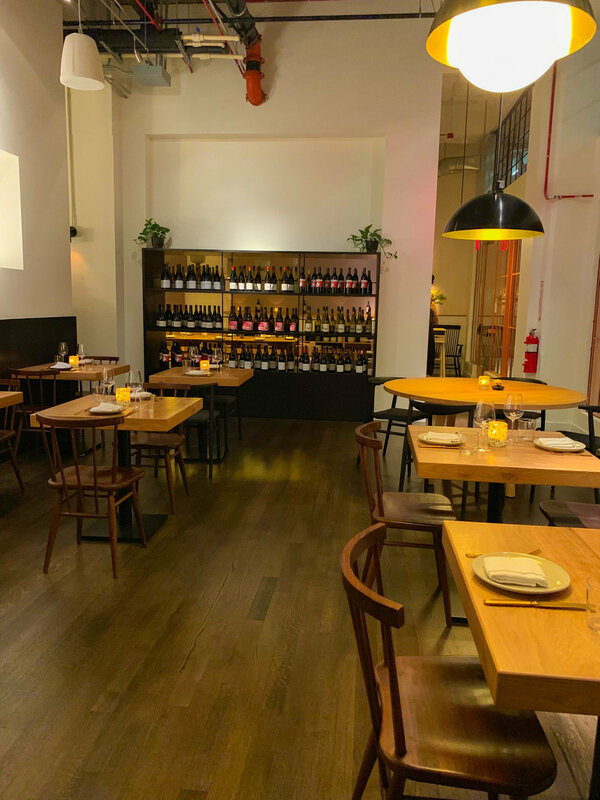 Located in ROW DTLA as part of the Manufactory group along with Tartine, Chris Bianco’s new dinner restaurant is spectacular! Although pizza is not served here, there are plenty of appetizing dishes with an Italian flair! 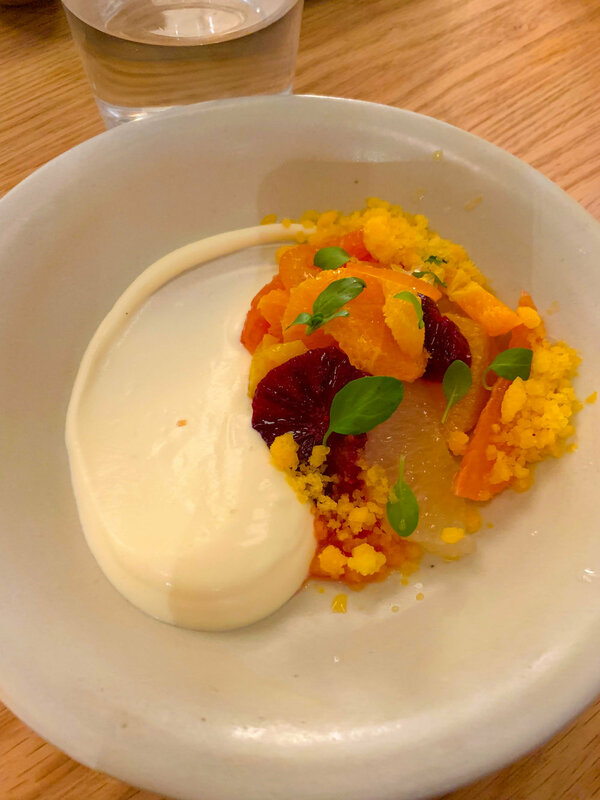 Our food menu is inspired by Chef Chris Bianco's Italian origins with influences from Chef Lee Foden-Clarke's English background, combined with inspiration from the California Farmer's Market. It is is designed to be shared, emphasizing the true meaning of the word “supper”. 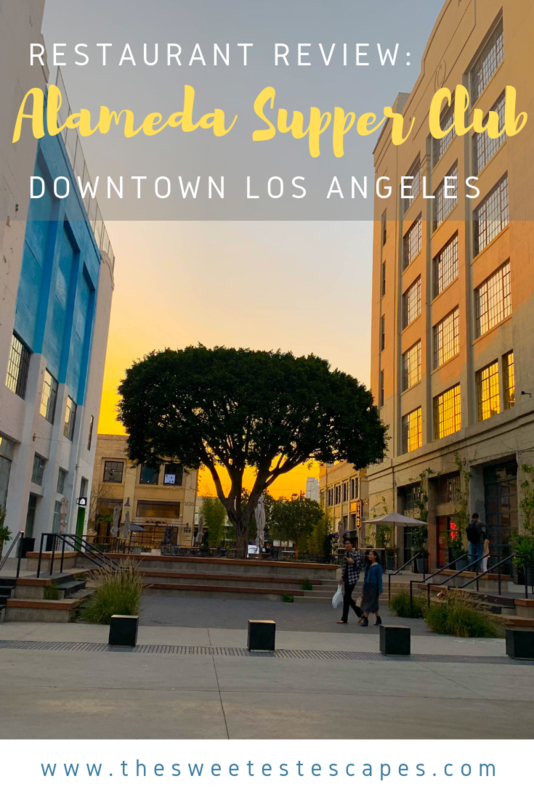 Part of ROW DTLA near the Arts District, this trendy area has tons of warehouses, and is home to merchandisers such as Splended / Ella Moss, NationBuilder, Nasty Gal, Colony Capital, Steelcase, rhubarb studios, and Gensler. On Sundays (especially during summer), Smorgasburg LA is the place to be, filled with LA’s best food joints! The dining room design is very modern, bright and I loved the wood tables in this warehouse space. We had the best table in the place, right next to the kitchen! SO many great cocktail options with the best names! I loved my Celine Dijon, light and refreshing complete with a huge rectangular shaped ice cube and a metal straw! We tried almost all of them! Our favorite was the ham and cheese toast! Almost paste like in a crispy toast, we ordered another round! Bread and butter… always a good choice. The pork crackling was so different, the texture was almost like a chip. Still worth a try. Let’s start with the pasta. IT WAS ALL AMAZING! The strozzapreti and ravioli were the highlights. The strozzapreti melted in your mouth with a buttery finish and pepper after taste. We discussed how the peas in the ravioli are not your mom’s peas in a can, and so delightful. The ribeye was also a great choice, the garlic butter gave off so much flavor and not too rich. We weren’t going to order the Fermented Pearl Barley, because it sounded so strange but our waitress, Andrea, recommended it! It was good, but we did prefer the pastas! OMG, GET THE ICE CREAM. If you know me, you know I would say that anyway, but I mean it here! So many weird things together, but it was SO good. Hazelnut, Balsamic, olive oil, orange-anise crumble, maldon. 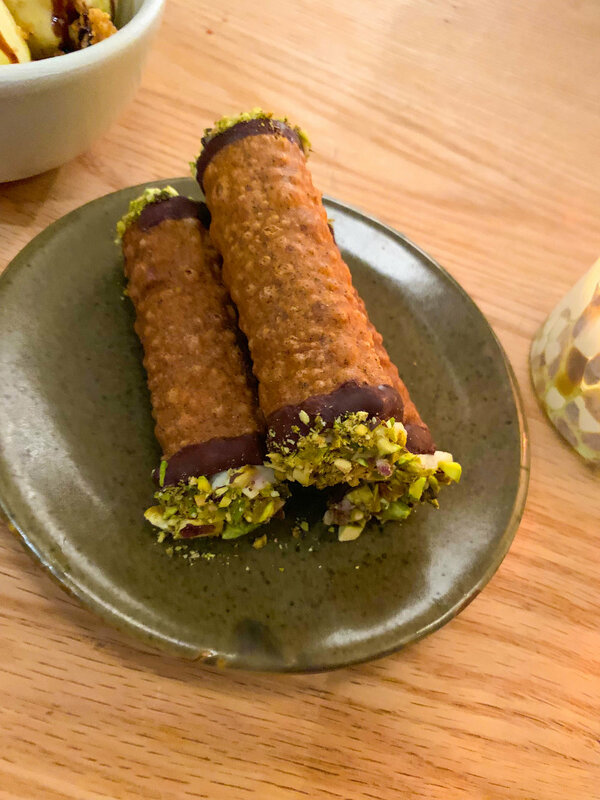 We also enjoyed the buckwheat cannolis with pistachios. Very fitting in the Italian setting. We also ordered the Insalata di Agrumi but weren’t blown away by it, we found it very sour and tart. Hope you get down to DTLA and try the latest and greatest restaurant Los Angeles has to offer!